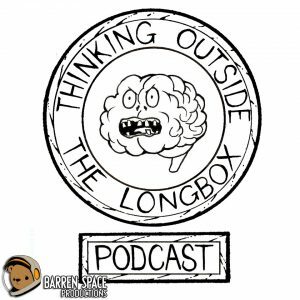 From deep within the caves of the Long Box Cavern (Gabe’s basement) we bring you the 16th episode of the podcast!! While Jon is off selling comic books, and making a success of himself, Gabe and Juan bring you their take on all of the latest happenings in the pop culture world!! Because of the nature of this episode, we decided to turn the whole episode into one filled with miscellaneous news!! Gabe RANTS AND RANTS about the Suicide Squad movie, while Juan is a little bit more optimistic!! This turns into a whole DC VS Marvel discussion, and a few other little magical tidbits on the side!! We have a very cool interview with Michael Dismuke who is the creator the of Gamemasters comic book! He tells us about his very cool comic book about little kids named Ro, Sham, and Bo! They have the powers of rock, paper, and scissors! Plus, an awesome story about Duck Duck Bear!! Plus, he also tell us his opinions about the yet to be released, Fantastic Four movie, and his love for Doctor Doom!! Remember, you can ALWAYS let us know what you think! We can only think of so many things to talk about every other week, and would LOVE to get some feedback and ideas from all of you out there who are listening!! You can send mp3s and email to our email address. Also, join the conversations on our Facebook Page and Twitter Page. Also, if you have good feedback, please leave it for us on iTunes and Stitcher!! That’s one way to help us climb the ranks into podcast glory! !